Sheikh Lotfollah Mosque is one of the architectural masterpieces of Safavid Iranian architecture, standing on the eastern side of Naghshe Jahan Square, Isfahan, Iran. 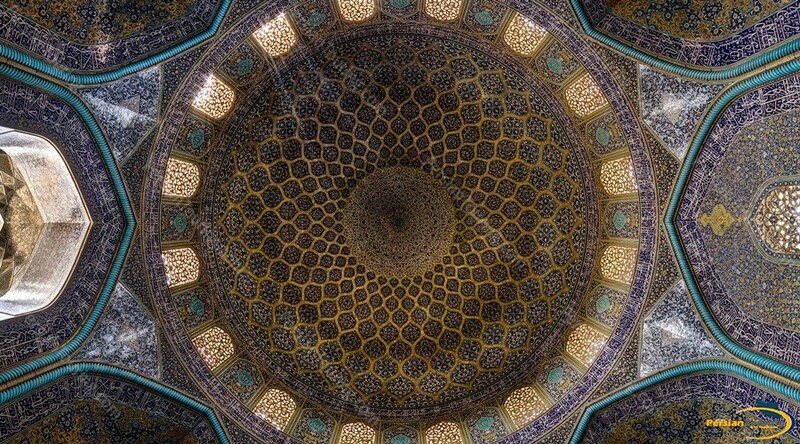 The mosque was built in 1619 by the chief architect Shaykh Bahai and ordered by first Shah Abbas. 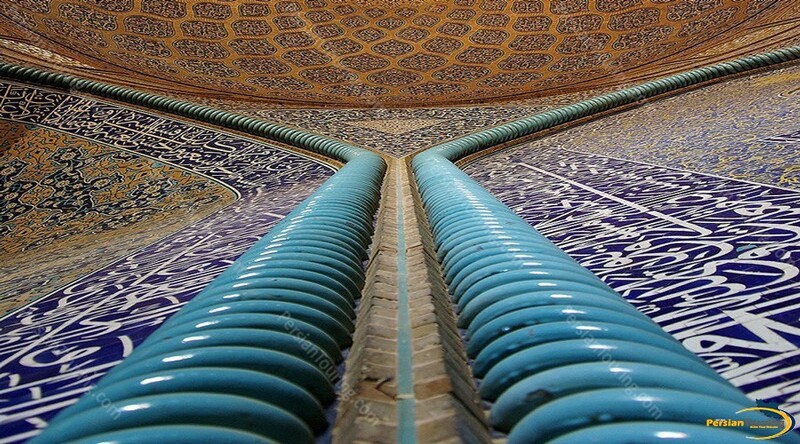 A masterpiece of world’s architecture was built during the reign of Shah Abbas the Great. Sheikh Lotfollah was one of Shiite prominent, preachers and clergies who came from Jabal Amel in Lebanon to Isfahan. 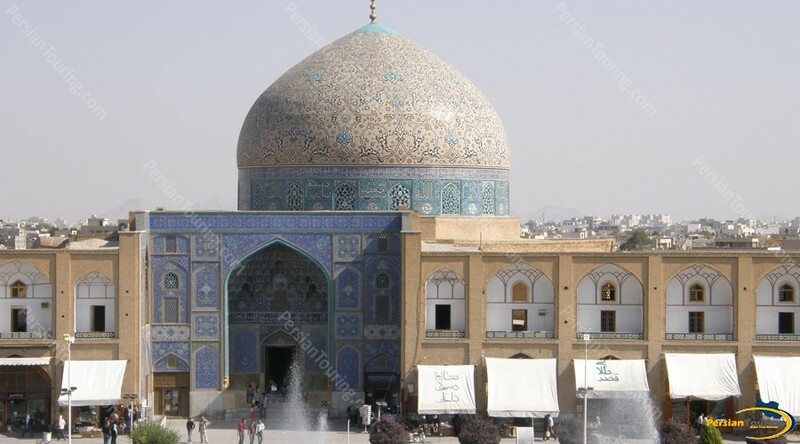 The Shah Abbas supported him and the Sheikh took up residence in Isfahan and the Sheik Lotfollah mosque was named after him. The mosque was used as a Theological school and also as a royal mosque. It was started to be built in 1602 and it was completed in 1619. 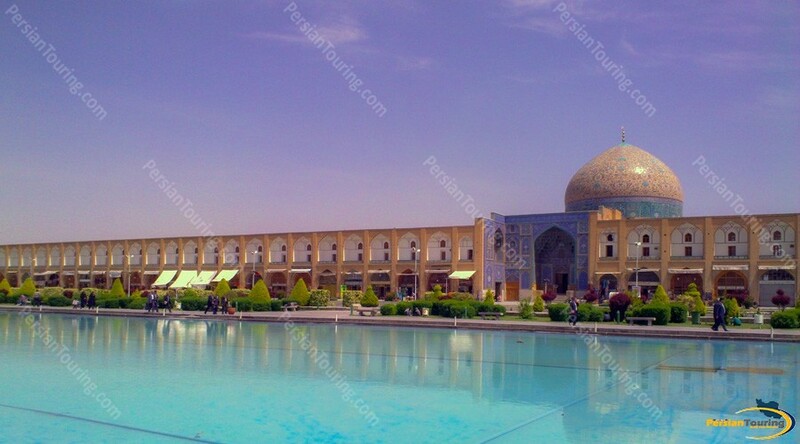 First, the portal was built to complete the Maidan, to be a part of great Naghshe Jahan Square and it is said it was used as a private mosque for the Shah and the royal family. 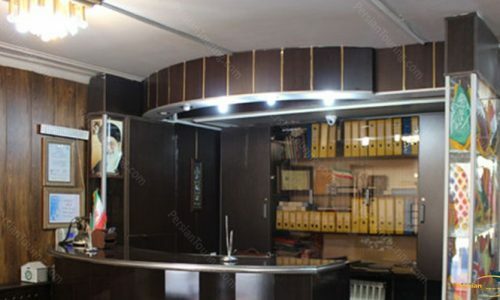 The plan and layout of the mosque are different from other four Evans Iranian mosques. 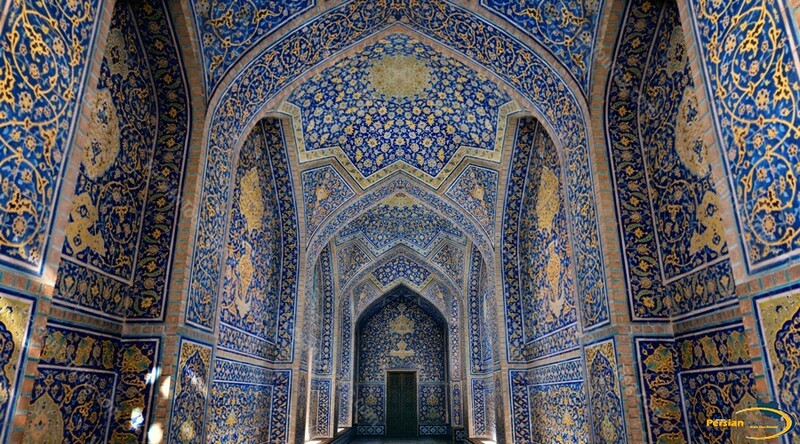 The entry gateway, like other buildings in Naghshe Jahan Square, the Grand Bazaar, and the Masjid-e Shah, was a recessed half-moon. 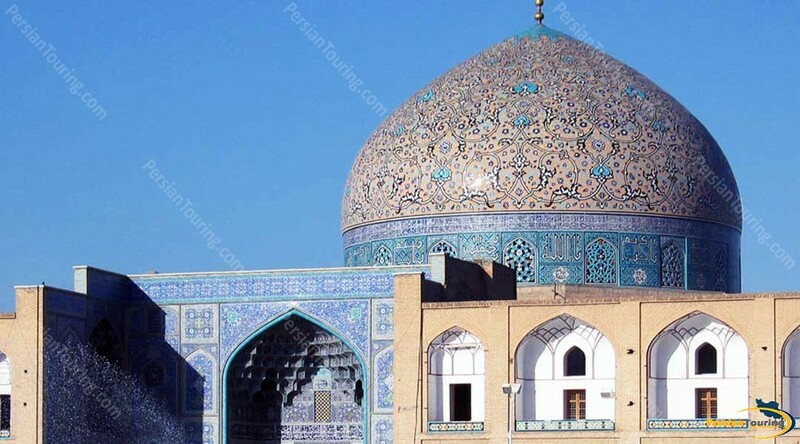 Also, like in the Masjid-e Shah, the lower facade of the mosque and the gateway is constructed of marble, while the haft-rangi tiles decorate the upper parts of the structure. 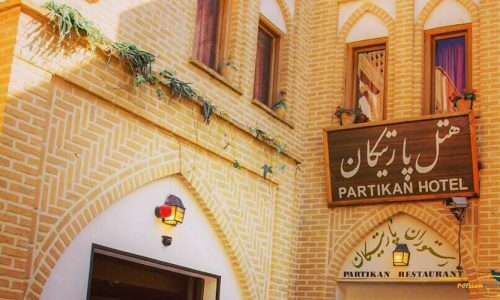 Creation of the calligraphy and tiles, which exceed, in both beauty and quality, anything created beforehand in the Islamic world, was overseen by Master calligrapher Ali Reza Abbasi. It is rather a small mosque without courtyard and minarets, but the interior and exterior ornamentations are unbelievable for visitors. 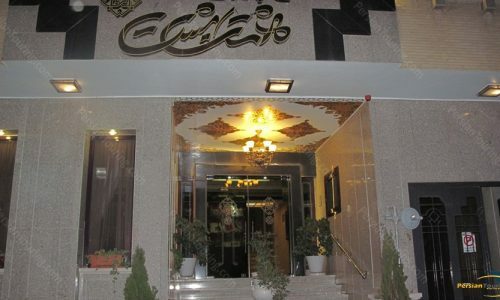 The entrance of the mosque is located opposite of Ali Qapu Palace. As soon as we enter the mosque, we pass through a dim- lit corridor which is connected to the sanctuary of the mosque. The mentioned corridor was built for two purposes. First, when entering the sanctuary our face will be in direction of Mecca (Qiblah). The second light outside the mosque is sharp and strong, but in the main parts (sanctuary) light is dim. Passing through the dim- lit corridor for few seconds, our eyes will be adjusted to the dim light and when we enter the main part, we will be able to see the glory and beauty of the mosque as real as possible.